The new MU909020A/Optical channel Analyzer module is a field modular device designed to measure and monitor power and wavelength over the 18 CWDM channels. It is a cost-effective alternative to more complex OSA for the emerging CWDM market, providing fast and reliable measurements in every environment. The small, lightweight and rugged handheld design makes this the ideal tool for field technicians tasked with installation, maintenance and troubleshooting of CWDM access networks. 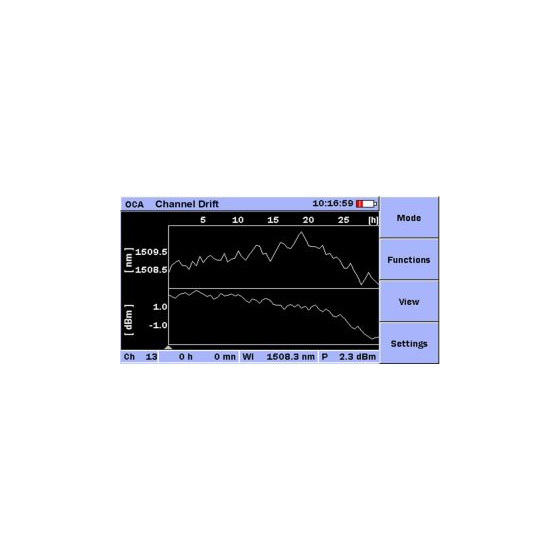 The MU909020A Optical Channel Analyzer is purpose built for testing CWDM channels in the field. It provides an overview of the power levels and wavelengths of all 18 CWDM channels at a glance. In addition, PASS/FAIL thresholds are stored for all parameters and configurations defined in ITU-T G.695 recommendation, allowing technicians to easily assess the network condition. It also enables long-term characterizations with several drift functions. With its software interface focused exclusively on the features needed, it is easy to use for any skill level, significantly decreasing training expenses. The MU909020A is ready for measurement in about 15 seconds, so productive work can start immediately. With no moving parts, the MU909020A is faster than any OSA, providing quick troubleshooting of a CWDM network. Besides, measurement results can easily be added to test reports, thanks to the ability to save screen shots, to store data in the internal memory or on external USB memory devices, and to easily transfer files into a PC. 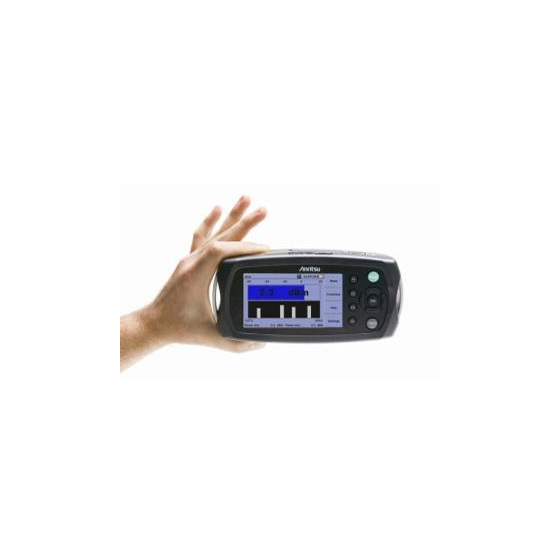 With its lightweight design and user friendly dimensions, the Optical Channel Analyzer is perfect for the outside plant environment and can easily be managed with one hand. Its high resolution, full color, 4.3 inch wide screen display is the perfect format for viewing results. It also provides excellent readability both indoors and outdoors. And since AC power is not always available where you need it, especially at fiber pedestals, the MT9090A typically provides 4 hours of testing on battery. The small, lightweight and rugged handheld design makes this the ideal tool for field technicians tasked with installation, maintenance and troubleshooting of CWDM access networks. The MT9090A features a modular design allowing modules to be easily changed in the field. Users can interchange different Optical Channel Analyzer modules or perform other optical network testing such as verification of drop cable installation with the available MU909011A Fault Locator module. Operation of all the modules is quite similar, so the user will immediately be familiar with their operation. *5: Specifications are guaranteed from 10° to 40°c. Operation possible from 0°c to 50°c.